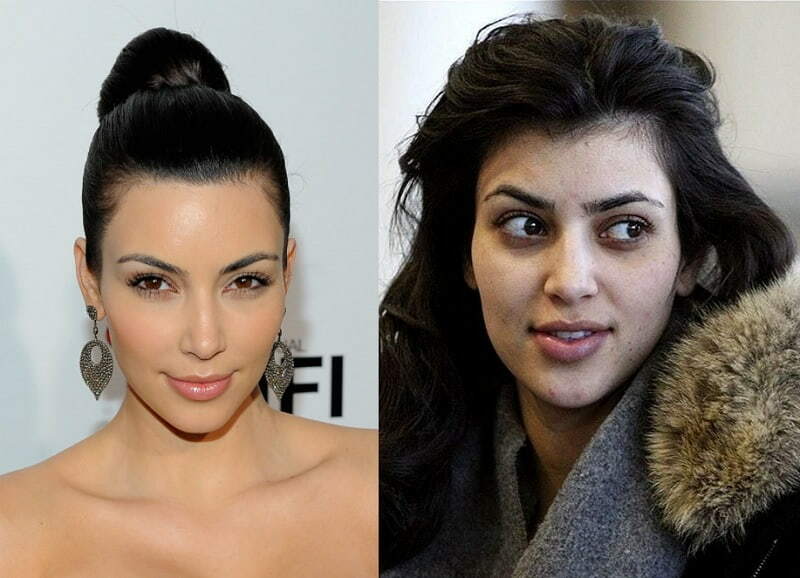 Celebrities with and without makeup looks can leave you awestruck! Your favorite celebrities may seem like ethereal creatures that always have a made-up face and impeccably-styled looks. But they’re people too. And when we get to see the people behind the makeup, we have to admit we love them even more. 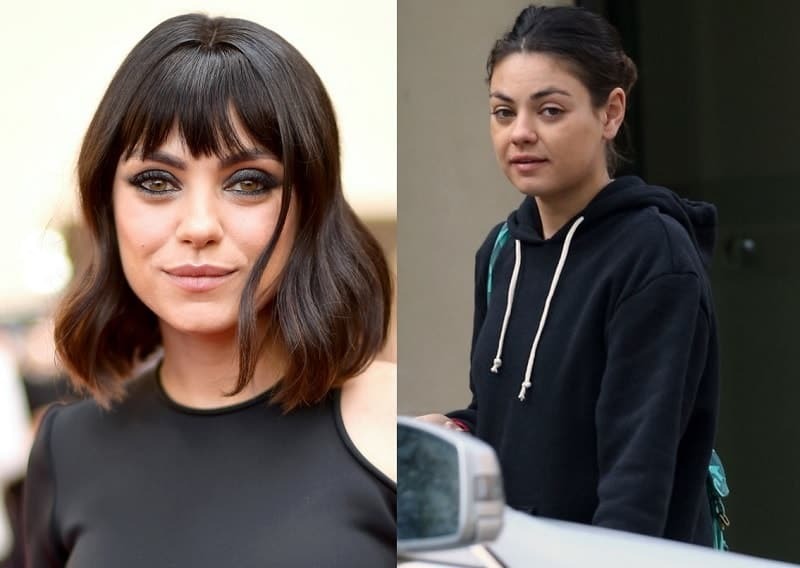 Let’s take a page from these fabulously flawless celebrities with and without makeup to see what we can learn from their styles. Emma Watson is still one of those celebrities without makeup that looks great. She’s got clear and even-toned skin and it looks like she really takes care of it. Her makeup look isn’t so extreme either. We love the natural way she wears it, focusing on her warm brown eyes to bring them out more and adding plenty of color to her cheek and just a touch to her lips. Let’s ignore for the moment that Kim’s had a bit of work done. She’s come a long way from that clueless dead-eyed smudgy makeup to working with her new features to accentuate her eyes and seems to have softened her extreme looks before settling on this one, which is much more suitable. 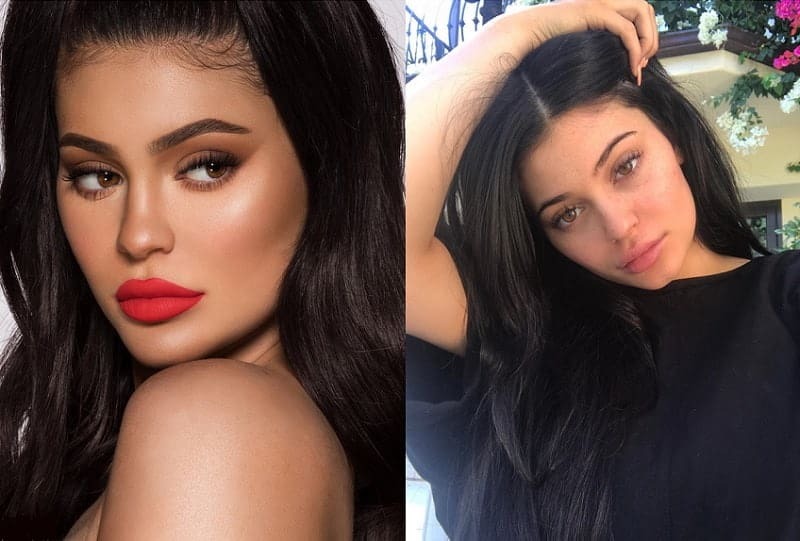 We’ve seen some fakey-fake looks from Kylie too, but this makeup looks she’s sporting definitely highlights her remodeled features. She can really pull off the big bright lips look, and you can too. You don’t need fillers though. You can fake it ‘til you make it! But we can’t deny the fact that this celebrity’s without makeup look is equally charming. Kristen’s look without makeup is very plain. You’d probably walk right by her and not notice her. 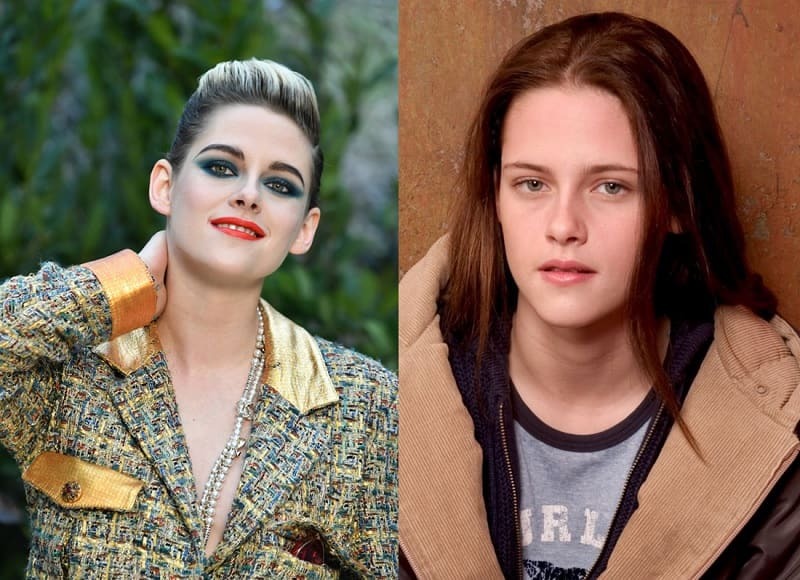 But with makeup, Kristen likes to go bold, probably to contrast with her natural look, which must make getting dressed up extra fun for her! 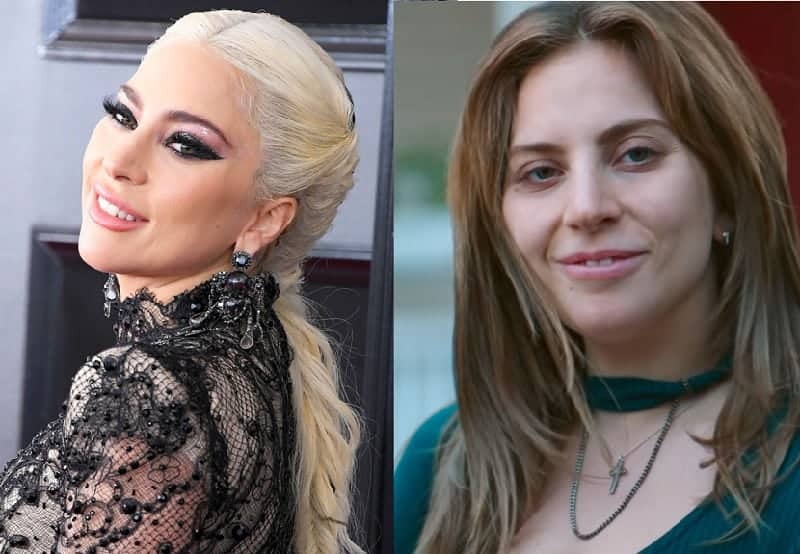 Lady Gaga is another celebrity without makeup that looks just like us. It’s also why she probably takes her makeup looks to the extreme. We love how she always tries out something new to shake things up, but this more subtle done-up look is really suited to her. Mila’s just a naturally gorgeous woman, but when she does her makeup, she looks utterly flawless. We love her bold smokey eye here! 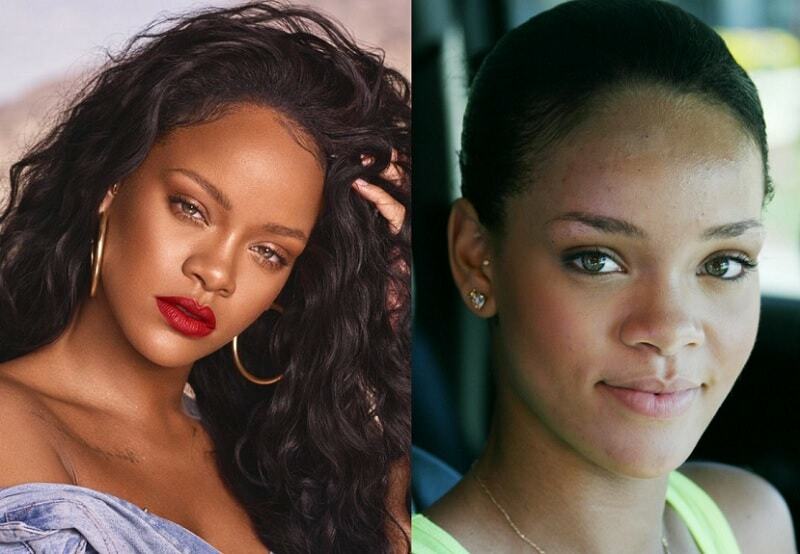 Without makeup, Rihanna looks like she could be your best friend, sitting on the couch next to you binge-watching shows with lots of wine and snacks. But with bronze makeup, she looks like we’d better not make her mad! Among the beautiful celebrities with and without makeup, we love how she keeps her look simple but goes bold on the lips. Jessica doesn’t look too happy to be caught as a celebrity without makeup. With it though, she has a luminous glow and a flawless style that’s easy to nab as our own. 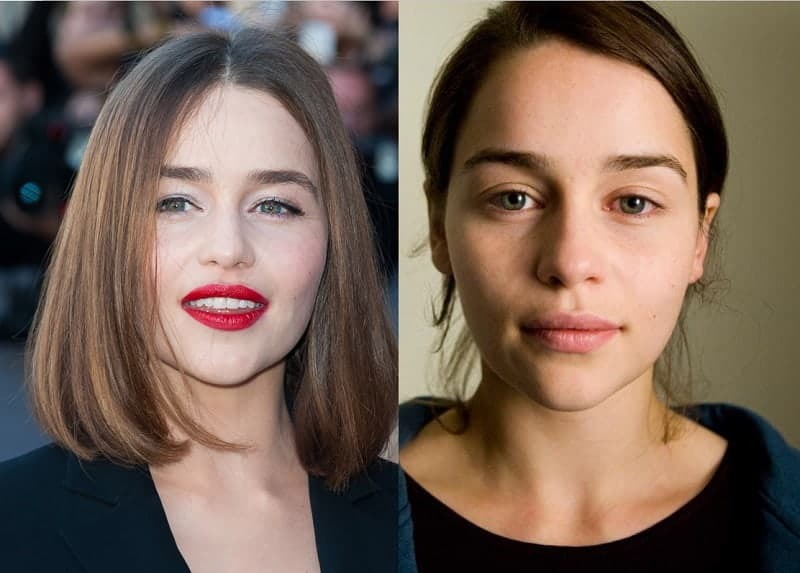 No makeup on Emilia isn’t a big deal. She looks fresh-faced and super-young. With it though, she looks sophisticated and classy. Way more intimidating for sure! 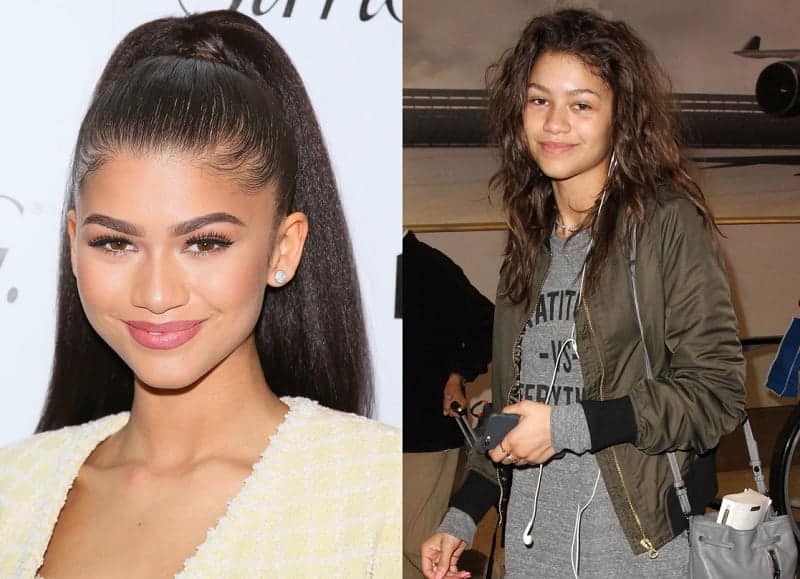 She’s a pretty girl, to begin with, but with makeup, Zendaya looks ultra-polished without looking overdone. We love this celebrity without makeup as much as we do with makeup. Now, you’ve seen celebrities with and without makeup looks and learned that they are just like us, but with better styling tips. We can learn from their styles for a lovely and flawless look!